I am a dinosaur. It is a recent realisation. I attend a student church in which my wife provides pastoral leadership. Making a joke about 80s music, the blank stares of the young adults around me revealed the uniqueness that is my species of dinosaur. I am shaped by different music, and thus experiences, than those born around the turn of this millennium. Generational theory gives voice to my blank stare experiences. Sociologist Karl Mannheim noted that age-related generations share a view of reality shaped by the times in which live. Hence we get Boomers born 1945-1961, Gen Xers born 1961-1980, and Gen Y and Gen Z, the two millennial groups, born 1980-1994 and 1995-2009 respectively. Hence the music woven through my teenage years means little to my student companions. Douglas Coupland’s 1991 book Generation X: Tales for an Accelerated Culture shifted Mannheim’s academic work into the mainstream of popular culture. Coupland described the accelerated lives of young adults, who share with each other their experiences of popular culture in order to make their own lives worthwhile tales in the process. Generational theory presents challenges for mission and ministry. How do different generations form faith? Not all are convinced. Some find the boundaries between an X and a Y artificial. Others argue that humans have more in common than in difference. While the sociologists and theorists argue, I remain a dinosaur, faced with blank stares and that nagging sense of cultural disconnect. What to do? How to connect with worldviews and cultures not our own? The best way is to listen. We have two ears and one mouth for good reason. Jesus encouraged those who called themselves disciples to interpret the signs of the times. Christian faith involves listening to culture and culture change. For Reformed theologian Kevin Vanhoozer, the competent disciple must be able to read culture and doctrine (Everyday Theology: How to Read Cultural Texts and Interpret Trends (Cultural Exegesis) , 2007). Theology is for Monday, not just Sunday, and so the church needs to be a community of competent cultural interpreters. What are we to listen to? Alvin Gouldner (The Dialectic of Ideology and Technology: The Origins, Grammar, and Future of Ideology , 1976) coined the phrase ‘newspaper sociology’ to encourage a listening that includes the reading of popular culture. The signs of the times are found in cultural artifacts like newspapers, film and social media. The blank stares of my millennial companions pushed me toward some ‘newspaper sociology’ at my local cinema. Recent millennial movie, The Big Sick , provided a way to listen. The movie tells the true-life story of Pakistani migrant Kumail (Kumail Nanjiani) and American post-graduate student Emily (Zoe Kazan) as they tumble into love. It is a window into the lives and values of twenty somethings in the United States. Central to the millennials in this movie is technology. The relationship between Kumail and Emily is sparked by Uber, nurtured by text and matured through following on Facebook. When Emily falls sick, it is technology that enables Kumail to connect with her family. Emily might be speechless, but fingerprint recognition on her iPhone allows Kumail to email her family. Dinosaurs like me might pine for face-to-face, but, for these millennials, technology is an extension of being human. Participation shifts. Community in Big Sick is built not through the regularity of shared friendships but through events, in this case evenings of entertainment at the local stand-up comedy club. Building community occurs in the moment rather than through planned and systematic relationships. In the secular West, religion remains. However, it is present, not in the life of American student Emily, but through the Islamic practises of Kumail and his family. Yet even here the practice of faith formation is being challenged by Western individualism. Kumail’s parents think he has retreated to pray in the downstairs basement. In reality, he spends his time practising cricket and watching YouTube videos. The interplay of faith and culture is angrily challenged. ‘Why did you bring me to America, if you wanted me to marry a Muslim?’, Kumail asks his disappointed parents. So what does this mean for my experiences of being a dinosaur? Seeking clarity, I realised I needed to enrich my ‘newspaper sociology’ with empirical research. 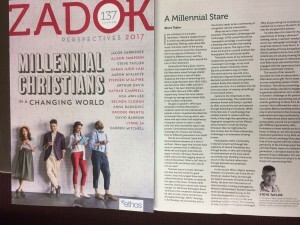 Ruth Perrin, in The Bible Reading of Young Evangelicals: An Exploration of the Ordinary Hermeneutics and Faith of Generation Y (2016), wanted to know how ordinary millennials are actually forming faith. She provided groups of millennials with Bible texts and watched how they engaged with the supernatural and with Divinely sanctioned violence. The results of her research provided me with an observation, an affirmation and a gift. Perrin observed an ever-extending season of faith formation. The twenty somethings are now taking a decade to engage in genuine exploration. As is evident in Kumail’s challenge to his parents, there is intense questioning and an eclectic gathering of ideas from diverse sources. Perrin affirmed the value of consistent Biblical teaching ministry but only in environments that encourage exploration and value authenticity. It makes those blank stares of the young adults around me an important gift. Different generations offer invitations to enter worlds we do not know. In doing so, we will encounter important questions. Is my faith more than a cultural overhang? How does a God of love square with the violence and patriarchy of the Christian past? Faced with the blanks stares of a millennial generation, I can tiptoe back to the safe ground of easy hallelujahs. 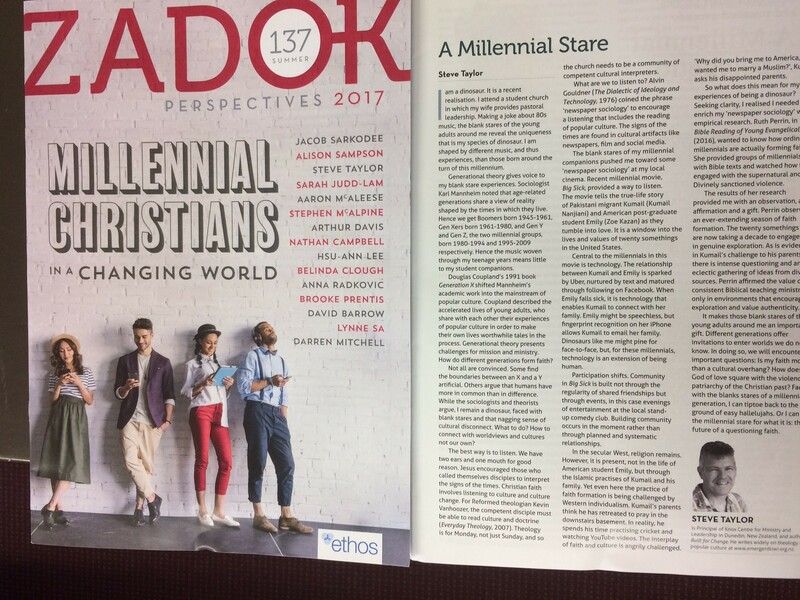 Or I can see the millennial stare for what it is: the future of a questioning faith. Steve Taylor is Principal of Knox Centre for Ministry and Leadership in Dunedin, New Zealand, and author of Built for Change. He writes widely on theology and popular culture at www.emergentkiwi.org.nz. Today, due to the wonders of technology, there are two Steve’s in two places. First, there is diligent Steve, who is at National Assessment Weekend. I am working with 15 folk from across the Presbyterian Church. Every year, this group gathers in Torbay, Auckland, to discern those called to nationally ordained ministry within the Presbyterian Church. Over the weekend, there will be prayer, listening, questioning, engaging, as we seek to understand God’s call. Second, with the wonders of technology, there is playful Steve. This person is working in Adelaide, South Australia. They are making a presentation in the Noel Stockdale Room, Central Library, Flinders University, between 2-5 pm. This is part of “Undisciplined Austen” a 2017 interdisciplinary research project run by Flinders Institute for Research in the Humanities. I will be making a presentation on the role of religion in contemporary popular culture portrayals of Jane Austen. (I described a few weeks ago how this has come about). This type of research is at the margins of my Principal of Knox Centre for Ministry and Leadership role. So all work done has been after hours. Tele watching in the evenings! On Monday evening I watched Pride And Prejudice And Zombies . On Tuesday evening, I put together my presentation. This involved examining the movie, looking for Biblical references, the portrayal of religious practices and theological themes and language. I confess to being quite surprised. I began quite playfully. Almost flippant actually. But as I examined the role of sacramental practice in Pride And Prejudice And Zombies , I found myself pondering anew what the Biblical account of the rich man and Lazarus in Luke might actually be saying. I videod this and sent it to the conference organisers. It will be played today. The interaction of participants and other presenters will be recorded and sent to me. This will then shape the writing of a paper, which along with the other presenters, will become a special journal issue, on the “Undisciplined” i.e. beyond English literature engagement with Jane Austen. My presentation is titled “religious piety and pig brains: the faith of zombies.” This use of technology will enable me to be Adelaide today, in a somewhat playful space, at the same time as I am in a diligent space in Torbay, Auckland. For those interested, here is “playful Steve”, talking about the faith of zombies in Pride and Prejudice and Zombies. steve taylor zombie theology from steve taylor on Vimeo. I am glad to be both diligent and playful. I actually think this is part my continuing to discern my call, to seek to weave together my desire to keep encountering a God of surprise, in the midst of prayerful search for understanding. I am glad to be part of discerning call. I am also glad to think theologically about popular culture, to review films and consider how religious resources are being used. It was John Calvin who called nature God’s second book. In creation we catch a glimpse of the Creator. I follow a daily lectionary pattern, reading from the Psalms and Gospels daily. It is a way for me to pay attention to God through Scripture. But if nature is God’s second book, then what might a daily creation lectionary look like? 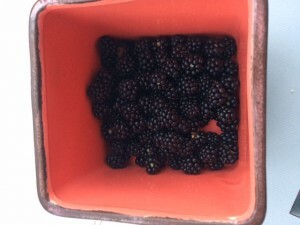 I pondered this in the cool of a summers evening this week as I harvested wild blackberries. These were brought inside, mixed with lemon yoghurt and served with great delight in the team Taylor household. Such is the joy of eating freshly foraged berries. Every year, around the 21st of February, foraging blackberries for instant eating becomes possible. They grow wild on the roadside beside our driveway. Every year, without any effort, I am blessed by abundance. It is a gift, something to be enjoyed without any need for weeding, pruning or spraying. Such is the abundance of creation. So, as I enjoyed the berries, I pondered God’s second book and foraging as theology. I found myself naming other moments of grace, of unexpected gifts, things I had never worked for and can simply enjoy. 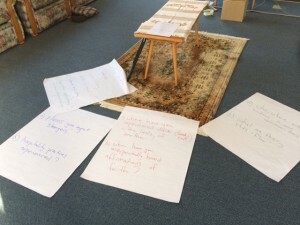 I shared the story and the theology of foraging from God’s second book as the KCML team gathered the next day for our weekly prayer and community building. I offered around the room the berries that had ripened between the cool of the evening prior and the morning next. I invited the team to reflect on a recent moment of unexpected blessing. As we shared, our week past seemed shot through with the abundant grace of God. Scripture of course has a number of instances that broaden and deepen a theology of foraging. In Israel’s book of Law, the sides of fields are to be left, to be foraged by the alien and landless. It is a fascinating approach to social welfare, providing ways to feed the poor without diminishing their humanity through handouts. It is such gleanings that provides for Ruth, the migrant from Moab and makes possible her encounter with Boaz. In the Gospels, the disciples forage on the Sabbath, picking corn. They gain the disapproval of the Pharisees, but Jesus turns the foraging in a teaching moment, affirming that sabbath is for humans, not humans for sabbath. In other words, in the abundance of grace is how we are to understand ourselves and our relationship to creation, to humans and to religion. The encounter with God begins in the blessing of unexpected gifts. Such is a theology of foraging, the gift of wild blackberries in the cool of a summers evening, the blessing of God’s book of nature. I wonder what else could be part of a daily lectionary reading of nature? The last 15 days have been very intense here at KCML. A Pre-intern block course of 6 days to bring our incoming interns up to speed was immediately followed by a Summer block course of 9 days. 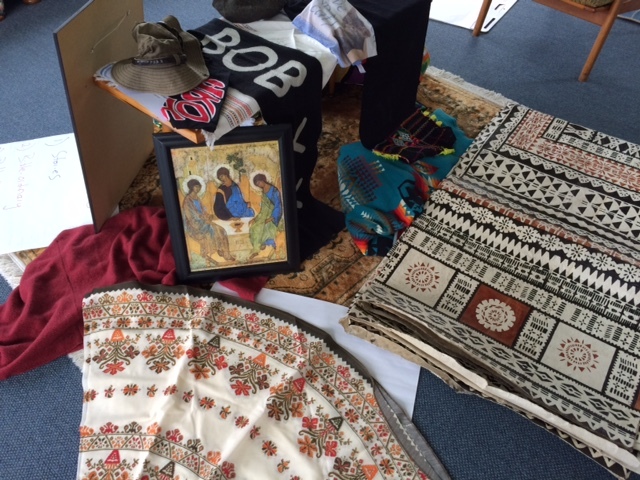 In addition, KCML:Dunedin hosted a variety of public events, including our inaugural lecture and winetasting, a creation care workshop and a Christian education event resourcing children and youth workers. All told, we’ve resourced over 130 people over the Summer blockcourse, engaging all sorts of ministers, leaders and lay folk from the wider church. It’s been great. I woke this morning aware that in the intensity, a good number of tasks have been left undone. “This is a really busy spell, I’ll get back to you as soon as I can,” has been a necessary, and valid, response. The result is a building inbox of necessary and urgent tasks. Equally, 15 intense days mean I’m personally tired and drained. Yes, I will take time off to relax. But this tempts me into a binary: days working either on relaxing or on the necessary and urgent. In recent days, I have also been pondering the creation story of Genesis 1. At the end of six days work, God enters a sabbath rest. Hurrah for weekends. Yet equally, during every day of work, God is also pausing, to name things as good. Every bit of hard work is enjoyed not in hindsight, while relaxing, but also in the moment. In other words, in Genesis 1, a sabbath pattern is both daily and weekly. 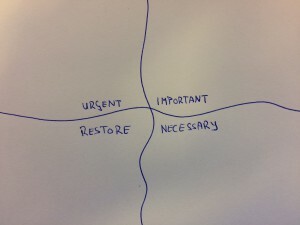 Pondering this, I found myself drawing a quadrant with four parts – urgent, important, necessary and restore. This gives me a way to structure my day. Daily, I will seek to spend time in each of these four quadrants. For every urgent task, I will also undertake a necessary task. For every necessary task, I will undertake a restoration task. As I gain energy from some restoration, I will invest that in an important task. And so on, around the quadrant: a daily sabbath pattern. I have run off copies of the quadrant on the photocopier. As I finished work today, I used a copy and reflected my way around the quadrant. Important and I noted the sending of an email about work needed for a meeting next Wednesday. Urgent and I had supplied some words to a colleague needed them for an event on Friday. Necessary and I noted thankyou letters written to three folk involved in our blockcourse. Restore and I recalled lunch outdoors in the sunshine and an end of work drink with the team. Tomorrow when I arrive, another day will await me. 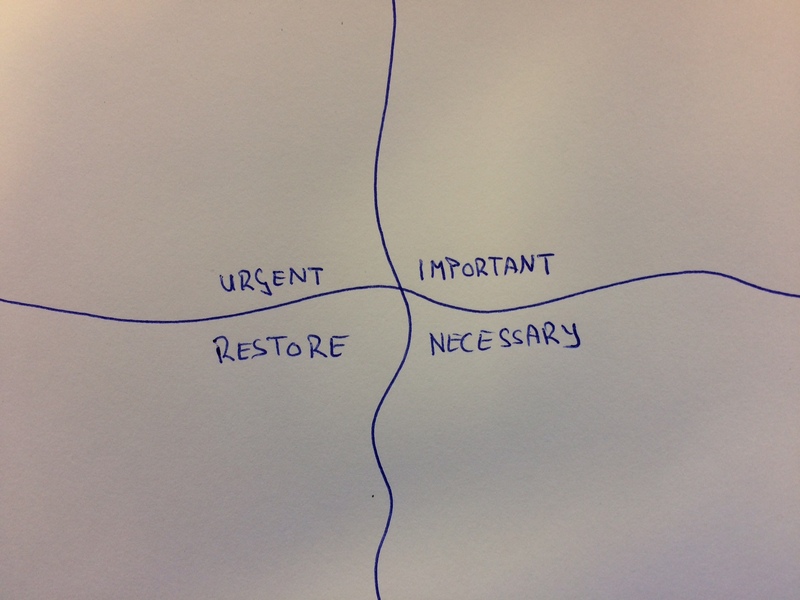 I will write out my to-do list, making sure there are tasks in each of the four quadrants. In so doing, I will be entering a daily sabbath pattern. Coming to our Senses: KCML and partners events in February 2017. Do wine and faith have anything to do with each other? What is the place of wine and wine-making in the Christian tradition? Jesus told parables about wine and vineyards and used wine at weddings and the Last Supper to demonstrate his message. Yet is wine anything more than a symbolic item within Christian spirituality? As New Zealand continues to grow in stature as a producer of quality wines and wine becomes a stronger cultural feature, is it time to awake to the senses: to gather around the table, and reclaim this gift of creation? Annual KCML Public Lecture – Coming to our senses with author and researcher, Dr. Gisela Kreglinger. This public lecture addresses the interface between Christian faith and everyday life practices. It is part of an initiative of the Knox Centre for Ministry and Leadership, of the Presbyterian Church. 2017′s lecture will tackle a matter that many Presbyterians historically viewed with suspicion. (The lecture in Dunedin is a stand alone event. In Auckland and Wellington the lecture is combined with a tasting). 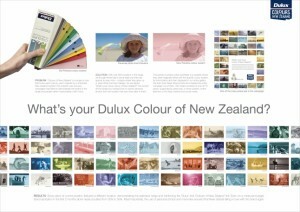 Dunedin: Tuesday 7th February, 5:15 -6 pm. Free, Cameron Hall, KCML, 6 Arden Street, Opoho. Wellington: Friday 17th February, 5:45-7:45 pm, St Johns in the City. $20 Door sales (tbc). Wine tasting, light food and reflections – The Spirituality of wine with Dr. Gisela Kreglinger. In a unique blend of talk and tasting, participants will sample wines, learn about the Biblical history and spiritual significance of wine, and explore whether wine can be taken seriously as part of a recovery of the senses in Christian spirituality. (The tasting in Dunedin is a stand alone event. In Auckland and Wellington the tasting is combined with the lecture). 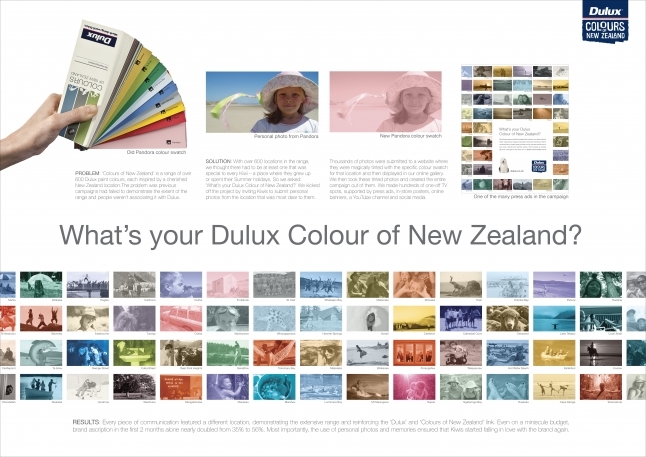 Dunedin: Tuesday 7th February, 6:15 -7:45 pm. $20 door sales, Hewitson Library, 6 Arden Street, Opoho. Wellington: Friday 17th February, 5:45-7:45 pm, St Johns in the City, $20 Door sales (tbc). Workshop – Creation and Holistic Christian Living with Dr. Gisela Kreglinger. When God blessed creation and declared it good, what were the implications for Christian discipleship? This workshop will explore practical implications for cultivating everyday gifts of creation. It will engage theologians of creation, including Jurgen Moltmann, Wendell Berry and Richard Bauckham and pay particular attention to the ways that the Christian doctrine of creation shapes everyday practices and builds stronger communities. Dunedin: Wednesday 8th February, 10-12:30 pm, $20 at door, Frank Nicol Room, 6 Arden Street, Opoho. Auckland: Monday 13th February, 10-12:30 pm. $20 at door, Carey Baptist College, 473 Great South Road. Wellington: Friday 17th February, 10-12:30 pm. $20 Door sales, St Johns in the City. Who is Dr Gisela Kreglinger? Gisela Kreglinger grew up on a family-owned winery in Franconia, Germany where her family has been crafting wine for many generations. She holds a Ph.D. in Theology from St Andrews University and in her recent book, The Spirituality of Wine (2016), Gisela has woven together her passions for Christian spirituality and the created gift of wine. Gisela has offered lectures, talks and tasting in restaurants, vineyards, churches and seminaries in the USA and the UK. “Food, and perhaps even more so wine, has always been a powerful instrument of mediation between humanity and the divine. Gisela Kreglinger offers a fascinating and in-depth exploration of the intricate relationship between wine and Christian spirituality.” – Carolo Petrini, founder of the Slow Food movement. “In Kreglinger’s hand’s wine becomes a key to a spirituality that rejects false dualisms of matter and spirit and inspires the healing of the earth on the way to God’s new creation of all things.” – Richard Bauckham, Professor Emeritus, University of St Andrews. On Sunday I attended church at Port Augusta Congress. It was the conclusion of Walking on Country and it was good to end in worship with indigenous sisters and borthers. At the start of the service, the congregation was informed that I would be preaching. This was news to me, but I had been part of a discussion of the Lectionary text on the 4 hour drive from the Gammon Ranges (Adnyamathanha country) to Port Augusta, so I had been doing some processing. Here is (my recollection) of what I said. Today our Bible reading is Psalm 23:1 – “The Lord is my shepherd”. At the start of the week, I heard these words from Scripture as a New Zealander. I come from a country with 40 million sheep and 4 million people. The shepherd stands behind the sheep. The shepherd has dogs, that bark and chase the sheep. So “The Lord is my shepherd” has a certain meaning. A God who chases me, with dogs. On Friday and Saturday, I heard these words differently. As I visited the Northern Flinders, I heard of the arrival from overseas of pastoralists. They were shepherds. They fenced off the land. They stopped indigenous people from walking across their land. They hoarded the water holes. At times they poisoned them, to ensure water went to their sheep, not the indigenous inhabitants of the land that had been taken. On Friday and Saturday, I became ashamed to consider how these acts of shepherding might be linked to the Lord as shepherd. On Sunday, as I was driving with Aunty Denise down to be with you here this morning, she told a story. It was about her Great Uncle Alf. He left his country here in the Flinders Ranges and settled down at Penola. He was a very skilled tracker. So skilled, he was employed by the Police to find lost people. When children got lost, it was Great Uncle Alf who time and again found them. Great Uncle Alf was so skilled, so valued, that after he died, the Police honoured him with a ceremony. Great Uncle Alf, the tracker of lost children, gives me another way to understand “The Lord is my shepherd.” At times I am lost. I am cut off from God and far from my community. So I need God to track me. To do what seems difficult, near impossible, and find me. 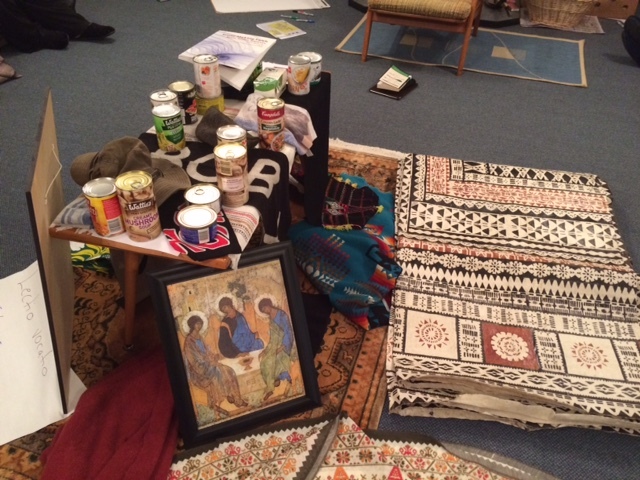 So as we now move to communion, I invite us to consider together what it means to be found by God. “The Lord is my shepherd”; God is my tracker. Over my recent summer holidays, I appreciated the New Zealand landscape. Four colours in particular grabbed me. They were the grey of alpine stone, the blue of glacial water, the green of Westcoast forest and the yellow of the alpine daisy, each an important memory in a road trip that Team Taylor took to the Westcoast. I pondered some way to take these holiday experiences into my working year. The process began by reflecting on the emotion that each colour generated in me, those feelings of concrete stability (alpine grey), of awe at nature (glacier blue), at the outrageous growth possible due to West coast rain (forest green), at the joy of exploration that meant an encounter with the very rare alpine daisies that grow around Castle Hill. I then sought to reduce each colour to a word. One word. This was difficult, but the work paid off. As I pondered these words, I realised that each word, each colour, could actually be applied to my vocation as Principal. In turn, I then began to imagine how my weekly diary might look. Grey (clarity) and blue (wonder) are the colours of my day to day work. Yellow (explore) is the research time that I programme into my Fridays. Green (create) is what happens in study leave and with my “hour a day” of writing habit that while I struggle to maintain, has a been a great help in enhancing my writing output in recent years. The colours have changed my attitudes to work. As I journal at the end of each day, I focus now not only on what happened, but on the colour. How have I been part of bringing clarity? Where have I seen wonder? As I turn to write for an hour a day, often tiredly, I am refreshed by thinking of green, the invitation to create. To give one specific example, the day I arrived back from holiday, my PA regretfully told me that she needed to resign, due to personal reasons relating to an unexpected and critical health concern in the family. The colours shaped my response. How could I bring grey/clarity in my communication with team and wider? What, I wonder, might God be doing in this totally unexpected news? The colours helped me look at life in new ways. It enabled me to pray in new ways. Equally importantly, I have a deep sense that the joy of recreation that is part of summer is continuing with me into my working week. Each of us will have different colours. Each of us have different ways to recreate. Each of us have different working weeks. 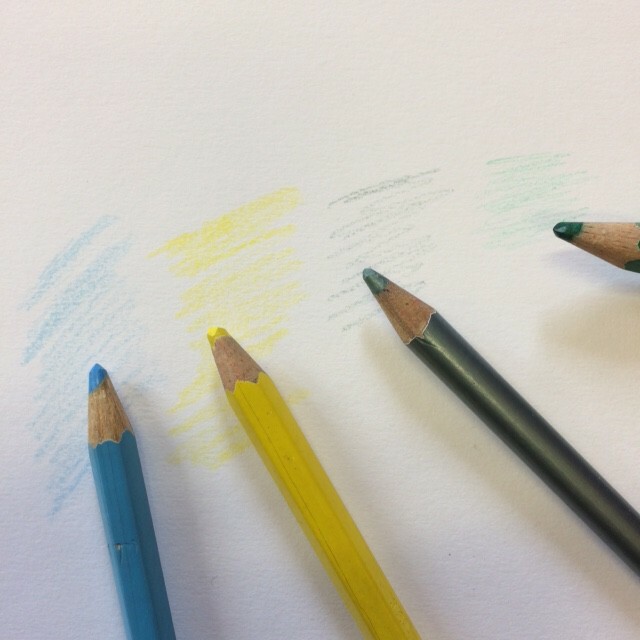 But I wonder what your colours would be? And how they might shape how you engage with your working place? It’s a line from U2, I Still Haven’t Found What I’m Looking. It’s in stark contrast to some of what I observed today, and have been experiencing over recent months. Today, the Spice Market in Istanbul. 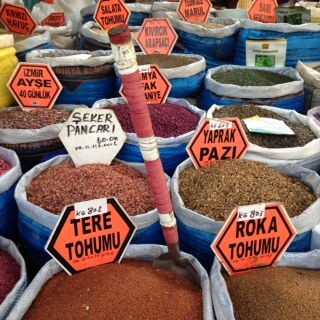 Such richness of colour in the world of spice, so linked to taste, in the food we eat. 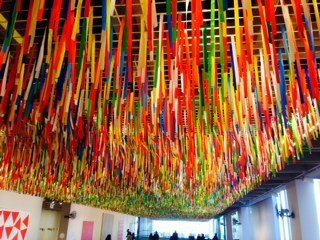 In June, in Sydney, an art installation in the main foyer. It included a fan, gently blowing, that allowed the colours to move, touched by the wind. So soon after Pentecost, it seemed a wonderful expression of Pentecost, the wind of God’s Spirit that does not bring uniformity. Instead, as each heard in their own language, it brings individuality, affirms culture, encourages diversity, insists on contextualisation. 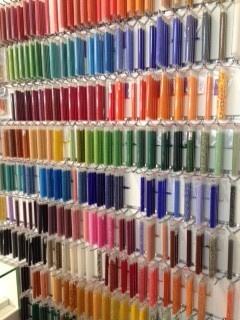 Over Christmas, a bead shop in Christchurch. Again, such richness of colour. This time, so linked to play, the creative act that is bead making. So close to Christmas, an expression of the act of creation, in which God lavishes not mono-cultures, but the enormous diversity of creation. Me things, U2 that you’ve got you’re theology wrong. The colours of the Kingdom are not bleeding into one, but into the rainbow of God’s purposes. At Wood School church we see curiosity as the foundation of learning. We aim to inspire curiosity with stories and activities that explore the woodland world and extend out into the world beyond. We aim to foster confidence, creativity and problem solving skills in our children. We do this through a learning environment that is primarily outdoors. We have an emphasis on play, child-led learning and fostering relationships. Through these we aim to develop in our children all of us a strong sense of self, combined with an empathy and compassion for other people and the natural world. We aim to develop life skills for sustainable living – helping develop in our children all of us the attitudes and skills we need in order to live in harmony with the environment and other people. We have a focus on: responsibility; making a difference; conserving resources; growing food; crafts; cooking; making and laughing! From Woods school in Manchester, England. Last night we ate ratatouille. The onions were sweated over a low heat for 45 minutes. The herbs were added, including basil, garlic and Italian parsley all fresh from the garden. Over time, the vegetables, pepper, eggplant, courgette, tomato were added. Finally, cheese and bread crumbs mixed together. 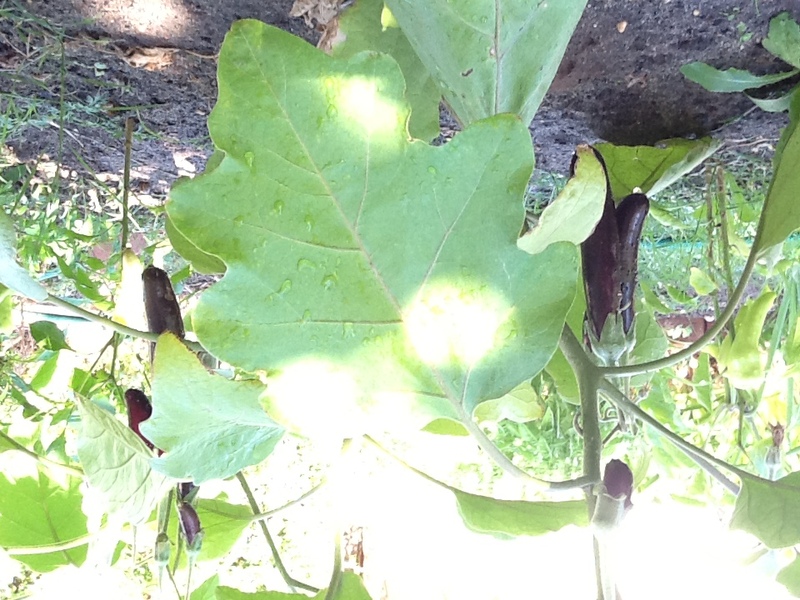 The eggplant was grown from seed (heirloom from Diggers Club) in the garden and in the growing, I’ve been challenged about leadership. I planted the seeds back in October and to be honest, they struggled. Only a few germinated. Those that did grew very, very slowly. It was a constant battle to protect them from snails. They were rapidly overtaken by broccoli. When we left for holiday in mid-December, only two plants remained, about 2 cm high. When I returned to work, two plants remained, but still only 2 cm high. To be honest, I was pretty disappointed. One month and no sign of progress. However, at least they were alive. Much else in the garden, ravaged by a run of 42 degree days, had wilted. I removed what was large and competing (the broccoli) and began to water. Slowly the two eggplants grew. First flowers appeared. Now, the fruit hangs heavy and black, a gorgeous sheen amid the green. The first fruits were delicious last night and we face the prospect of more ratatouille, along with eggplant dips, in the weeks ahead. 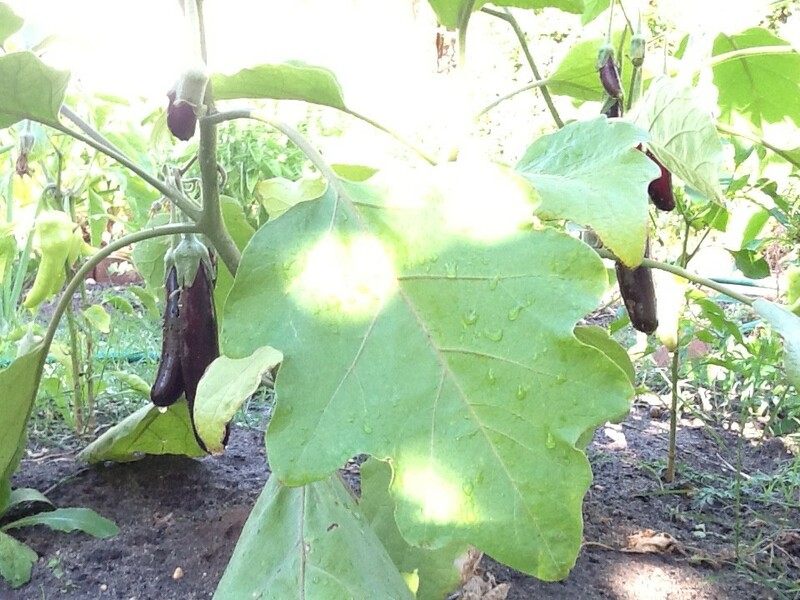 I’ve reflected on leadership as I’ve tended to these eggplants over the summer. It would’ve been easy to buy seedlings, but there is something deeply satisfying about planting from seed. It would’ve been easy to give up in the face of little growth, but I’ve realised the value of patience and persistence. As I’ve watered, I’ve pondered those with whom I’m relationally connected. I’ve wondered what it will mean for them to keep growing, and how I might participate in that. This has begun prayer and introspection. I’ve needed to remove the broccoli. That was really difficult. It was large and impressive. But it was actually harming the growth of another. I’ve begun to inspect my own life, wondering what habits and attitudes are in fact choking the life of something else. I’ve begun to realise that the loss of a key person, a key leader, as essential part of the team, might in fact be an opportunity for another person to begin to fruit – differently, uniquely. Which has provided a different perspective on the current movement within the team at Uniting College. Last week I spoke on theological education in leadership formation. It was an academic paper, that drew forth a range of academic challenges. And as I spoke, I could have passed around some home made eggplant dip. 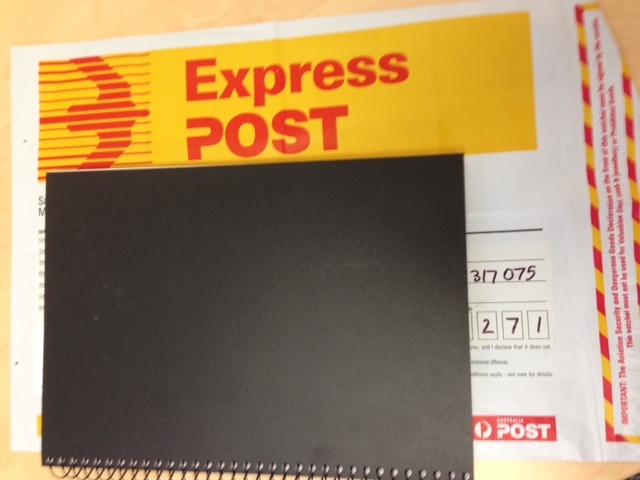 One of the dispersed Lent Journals 2014 returned today. 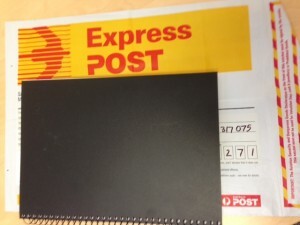 It has been travelling by post, moving around rural South Australia, among our distance students. It was a great joy to see it return, complete with post paid bag as students decided to pay themselves rather than let College pay. The story behind the Dispersed Lent Journal Project 2014 is that we at 34 Brooklyn Park are a dispersed community – students, staff, teachers; post-graduates, under-graduates; studying for audit and for credit; face to face and distance. At the start of Lent, four journals were released into the community – in lectures, in library, in student common room. Folk are invited to journal what Lent means to them, and pass it onto another in the community. (Full description here). We wanted a way to connect our dispersed, mobile community. Distance students were keen to participate and here is one now returning after being posted around South Australia. Which means it is now able to be handed onto another student. Connections are being created among the dispersed, spirituality nurtured and nourished among those who gather and scatter.